This week, I attended an online class session for the first time. My T509 course used Unhangout, a platform created through the MIT Media Lab. This platform allows participants/students to view instructional material as a whole class and then split up into smaller discussion groups. In these smaller groups, of up to ten people, students can video chat with their group. For our class, we recorded our discussion on a Googledoc, and then one student from each discussion group shared our thoughts once we reconvened as an entire class. The small group video discussion was rather awkward. When communicating through a screen, it is difficult to judge nonverbal cues, so our transitions between speakers were rather slow and, again, slightly awkward. Our discussion was not as efficient or as productive as it would have been in person. Yes, this is a personal opinion, but I did not feel like I participated as fully in this discussion as I do in a regular class. The conventions for a successful small group discussion were not clearly defined. We eventually figured out that keeping our microphones muted while not speaking led to the best audio, but we did not know this at the beginning of the discussion. The video introduction, with the entire class, was not as engaging as an in-person lecture. Again, this is a personal opinion, but I am probably not the only learner to find it more difficult to pay attention in a digital learning environment. The Unhangout platform does help to alleviate one of the main fears about online learning – the fear that students will not have an opportunity to work in small groups and discuss ideas with their peers. As an English teacher, I believe that small group discussions are essential to learning, and it is encouraging to see an online platform that is dedicated to preserving this aspect of education. Though the small group discussion was awkward at the beginning, I felt more comfortable responding to my group members as the discussion progressed. Like any small group working environment, it takes time to build up a rapport and norms for participating. It’s possible that the awkwardness I experienced was the result of being unfamiliar with discussions in this format rather than an inherent problem with the format itself. It was convenient to be able to attend class while in my apartment. While I still do not believe that online courses should replace traditional classes, especially in a high school setting, participating in the Unhangout session did inspire me to consider ways in which online discussions might work in blended learning or during school breaks. For example, a teacher could hold an optional online study group discussion after school. In addition, some schools are implementing online learning during snow days, and having the ability to incorporate small group discussions could be a great asset in those situations. Summer break is also a time when many students become disconnected from school, and having a few online discussions throughout the summer, perhaps related to summer reading, might be a useful experience for students. (All of these examples would require ensuring that all students have access to technology, but that is a topic for another blog post.) Again, I do not view online discussions as an effective substitute for classroom discussions, but having platforms like Unhangout may be a step forward in helping to extend collaborative educational opportunities beyond the limitations of a traditional school schedule. 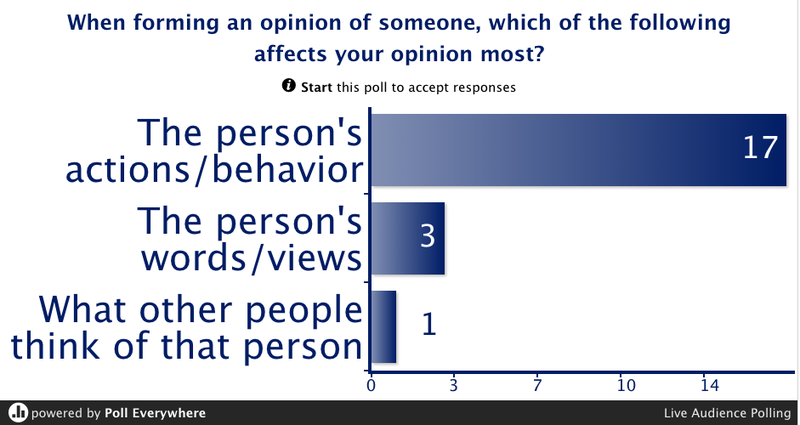 These reflections are based on my personal opinions of our online class discussion, and I would love to hear other opinions from my classmates who attended the session! Synopsis: We all know that this story does not have a happy ending. The race to build an atomic bomb swept us into an era of incomprehensible mass destruction that still haunts our world today. The bleak ending is rendered even more tragic by the noble ideals that sparked this movement: scientists testing the limits of their discoveries in a quest to halt ruthless dictators, politicians making deadly decisions in order to protect the lives of their citizens, and spies committing acts of treason in an effort to ensure stability among global powers. From science to politics to secret networks, Bomb ties together the stories of the people and events that led to one of the most powerful technological advances of the twentieth century. Context/Themes: Sheinkin proves that nonfiction accounts of history can be every bit as exciting as the most imaginative works of fiction. While covering numerous historical facts, the narrative highlights the personal, national, and global dilemmas that motivated key players during this period. This story is an important one to tell because it forces the reader to confront many of the ethical questions that we continue to face as a society. Do we have a responsibility to limit potentially destructive scientific advancements? When, if ever, is mass destruction justified? Knowing that we have the ability to destroy our entire planet, how can we ensure that doesn’t happen? This book could be used in the classroom in a variety of ways. For example, it could be connected to a unit on Frankenstein by Mary Shelley, which raises similar concerns about science and ethics. It could also serve as the core text in a unit about contemporary controversies related to science and technology. In any case, if you are looking for an engaging, historical version of events leading to the creation of atomic weapons, I highly recommend Sheinkin’s Bomb. Synopsis: A Wrinkle in Time begins L’Engle’s Time Quintet by introducing Meg Murry, Charles Wallace (her brother), and Calvin O’Keefe (their new-found friend). From the second page, a mystery evolves; Meg’s father has been missing, and no one knows why. While the adults in town whisper about him running off with another woman, Meg does not believe the rumors. Rather than focusing only on one puzzle, the novel uncovers several more mysteries in quick succession; the sudden appearance of three unconventional women in an abandoned house down the road is only the first step in a succession of puzzles that the three children must untangle. The adventurous tale draws the children through time and space to exotic corners of the universe, and the children’s success in their quest will affect much more than their own lives. Context/Themes: L’Engle has crafted a book that blends the genres of science fiction, mystery, imaginative fiction, and coming-of-age stories. Meg is a relatable protagonist, and the reader gets to join Meg in her adolescent experiences as she comes to terms with her own quirks, her lack of self-confidence, her father’s absence, and her responsibilities as a big sister and as a daughter. L’Engle also presents the theme of good versus evil while subtly exploring religious, political, and dystopian perspectives. In addition, she includes several allusions to renowned works of literature; while young readers may not understand the full significance of these literary connections, the allusions still expose readers to sophisticated writers and ideas. This novel offers an exciting plot, an elegant writing style, and complex themes, and I highly recommend it to young readers. 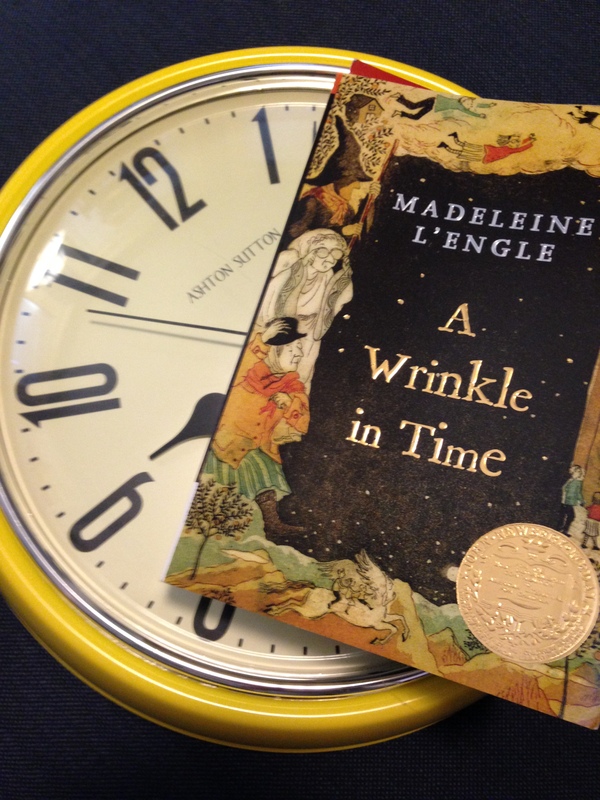 A Wrinkle in Time was my favorite novel as a child, and rereading it as an adult reminded me why I loved reading it many years ago. For one of my courses, I recently had to create a remix, and I was inspired to design something that I could use in the classroom. Therefore, I decided to create a Romeo and Juliet remix by rewriting Beatles lyrics, recording the new version of the songs, and using it as the soundtrack for a picture slideshow. Remixing allows students to take existing media and change it and/or combine it with other media in order to produce something new. 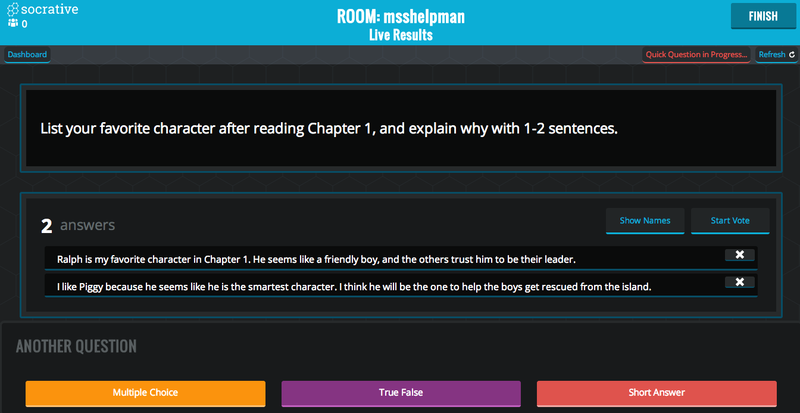 Through creating a remix, students can apply their understanding of a topic or piece of literature and use their remix to highlight important themes. For example, my Romeo and Juliet remix summarizes the entire play in about three minutes, therefore emphasizing the fleeting nature of the romance. The contrast between the upbeat, catchy tunes and the tragic storyline questions the sincerity of this love story. 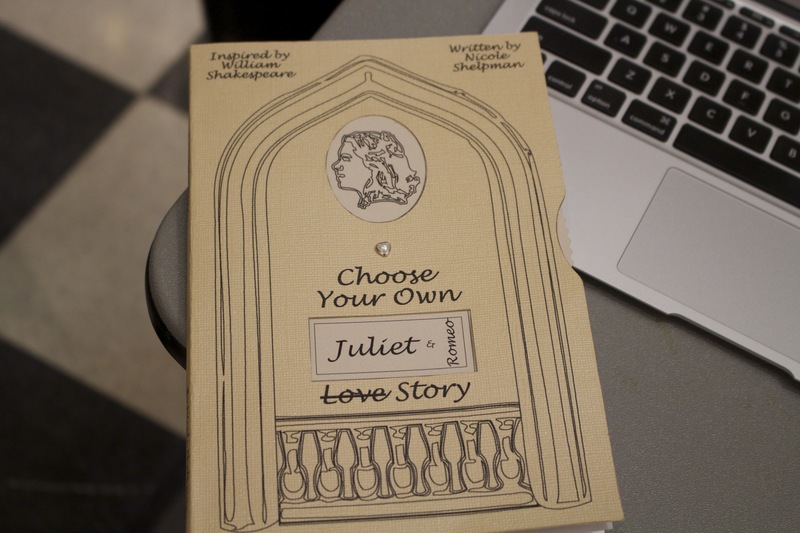 In some ways, Romeo and Juliet is an iconic romance, but we also view love-at-first-sight as a frivolous notion, not to be confused with true love. Asking students to discuss the themes presented in a remix created by a teacher could be a valuable activity, and it would be even better to have students create their own remixes to present themes that are important to them. Remixes can come in a variety of forms, and there are several ways for students to create remixes. Mine was created with GarageBand and iMovie (available on iPads and Macs), but this level of technology is not required for a remix activity. For example, students could rewrite lyrics to a song and present the new version live, or they could record a video of their presentation with a cellphone. Creative learning opportunities can deepen students’ understanding of course material, and I am excited to further explore the potential of using remixes to support students’ learning. Thank you to my guitar player/co-singer for helping me record the remixed songs! Facilitating a lively, interactive discussion in which all students participate is sometimes challenging in a high school class. 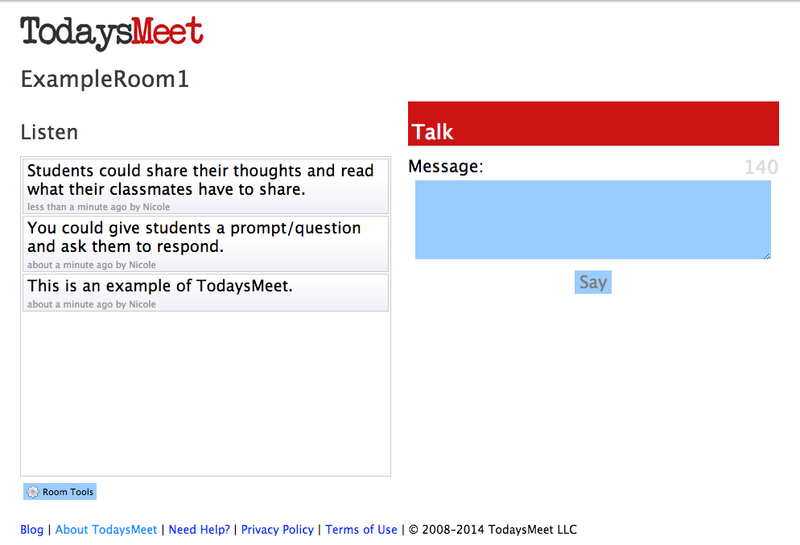 One way to help accomplish that goal is to integrate technology into a discussion. I have highlighted a few tools below that I have either used as a teacher in high school or as a student in my graduate classes.